Butter a 9×9 baking dish. Peel, core and thinly slice the apples. Sprinkle with the sugar, flour and the salt. Transfer to the buttered baking dish. For the topping, use another bowl and combine the flour, oats, brown sugar and cinnamon. Cut the butter into the mixture until it is well distributed. Pour evenly over the top of the apples. Bake at 350 degrees for 40 to 50 minutes or until the apples are tender, the topping is golden brown and your kitchen smells like Fall. 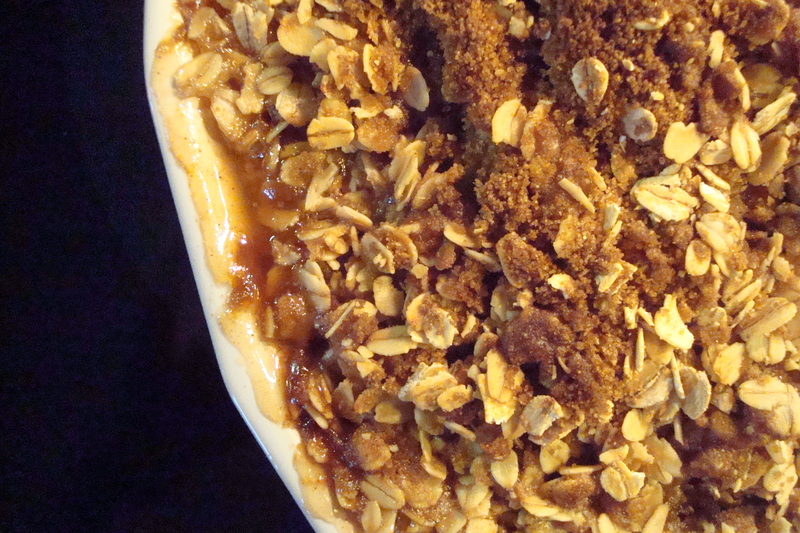 Subscribe to comments with RSS	or TrackBack to 'Apple Crisp (Haralson)'. Just the recipe I was looking for Paul — I love baking in the fall! Hey Shirley! Nancy Lee and I have prepared this twice in the last week. We’ve got two trees that are just full! Enjoy!